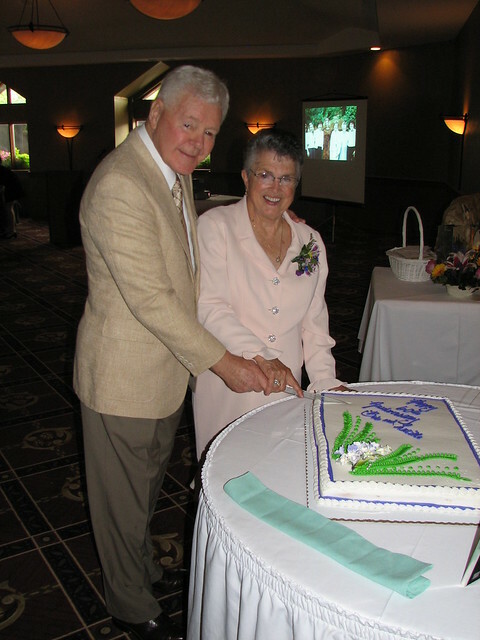 My grandparents celebrated their 60th anniversary on Thursday. 60 years of marriage (or almost 22,000 days, as my grandfather put it)! 7 kids, 22 grandchildren, 2 great-grandchildren (or nearly 68,000 diapers by my own baseless estimation). 60 years together and still happy as ever – that’s a remarkable achievement. And they’ve always been there for each other, all of their friends, and everyone in their family – certainly for me on more than one occasion. For that we’re all incredibly grateful, and we look forward to many more years of their infectious laughter, sharp wit, and never-ending wisdom. We love you, Grandpa and Grandma!